A wide range of industries, including manufacturing, heavy industries and aerospace, now make use of nanotechnology. As the number of applications for this technology increase, the Atlanta workers’compensation lawyers at Parsons & Associates, P.C., believe that it is important to make sure that industries are using this technology in a safe manner. One of the foremost concerns is the risk of occupational illnesses from exposure to chemicals known as multi-walled carbon nanotubes.Recent research by the National Institute of Occupational Safety and Health found that mice that were exposed to multi-walled carbon nanotubes had a slightly higher risk of developing cancer. The results of the research were released recently at a meeting of the Society of Toxicology. The researchers wanted to investigate whether these tiny nanoparticles could possibly initiate or promote cancer. As part of the study, the researchers injected methylcholanthrene,a chemical that is a known cancer initiator,into a group of mice. A control group of mice was injected with a saline. After this, some of the mice were exposed to a concentration of multi-walled carbon nanotubes.The researchers wanted to see whether the cancer initiator by itself would initiate cancer or whether the multi-walled carbon nanotubeswould increasethe risk of cancer in these mice. 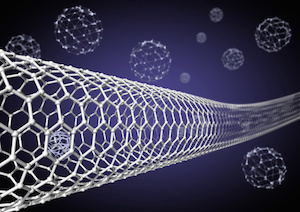 The researchers found that the mice that received both the initiator chemical as well as multi-walled carbon nanotubeswere much more likely to develop tumors with a 90 percentincidence. These mice were also likely to have more tumors with an average of 3.3 tumors per mouse, compared withthe mice that received only the initiator chemical. Earlier studies have also indicated that multi-walled carbon nanotubescould have the potential to initiate or promote cancer. Michael Parsons is an Atlanta workers’compensation lawyer, representing injured workers in the metro Atlanta region and helping them recover the worker’s compensation benefits that they have earned.